Piramal Enterprises is looking to bring down its exposure to realty developers by diversifying its loan portfolio into other avenues one of which is housing finance loans. Real estate sector loans constitute about 70 per cent of the loan book of Piramal Enterprises in the third quarter. This has come down from 78 per cent in the second quarter. The total loan book of the company grew by 45 per cent to Rs 55,255 crore as on December 31, 2018 as against Rs 38, 036 crore as on December 31, 2017. “We are diversifying our risks. 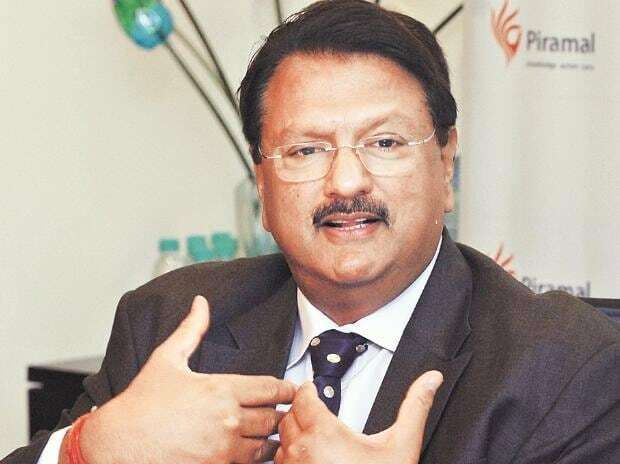 We have got into housing finance loans and looking to grow our retail and consumer lending loans”, Ajay Piramal, Chairman of Piramal Enterprises said. The housing finance loan book has grown 69 per cent to Rs 3,920 crore. “By March 2019, housing finance loans will constitute 10 per cent of our loan book, Piramal added. We have also created a fund for funding of stressed assets. We are also lending to SME’s. So over time our exposure to real estate will come down”, Piramal added. The top three real estate developers to which the company has maximum exposure are Lodha , Vatika and Umang. We have not taken any haircuts on the exposure we have to these developers, Piramal said. Piramal said consolidation will take place in the real estate space and 80 per cent of the developers that are in the market now will cease to exist. Only the top 20 per cent will survive. “RERA has affected the real estate sector. Consumer have lost confidence in the way non reputed real estate people launching products because of the huge delay in the completion of projects”, he added. So, therefore the group’s strategy has been to provide funds to only those developers who have a strong brand name, a strong tarck record of delivering projects on time and who sell the right products. Piramal Enterprises posted 23 per cent rise in net profit at Rs 603 crore from Rs 490 crore in Q3 of FY18. Its revenues rose by 22 per cent to Rs 3,489 crore from Rs 2,858 crore in Q3 FY18. The group has also raised Rs 10,000 crore through non-convertible debentures in the third quarter of FY19 and has reduced its Commercial Paper borrowings by 40 per cent. It sits on liquidity strength of Rs 5,400 crore in the form of cash and several unutilized bank lines. “Our group’s credibility, robust track record and balance sheet strength has enabled us to get enough liquidity from banks, mutual funds, despite tight liquidity for the sector over the last few months”, said Ajay Piramal. The loan disbursement of the company has grown to Rs 24, 749 crore in the nine months of FY19 from Rs 12, 344 crore in the same period last fiscal. The gross non-performing ratio of the group stood at 0.5 per cent but the group’s provisioning stood at 1.8 per cent.